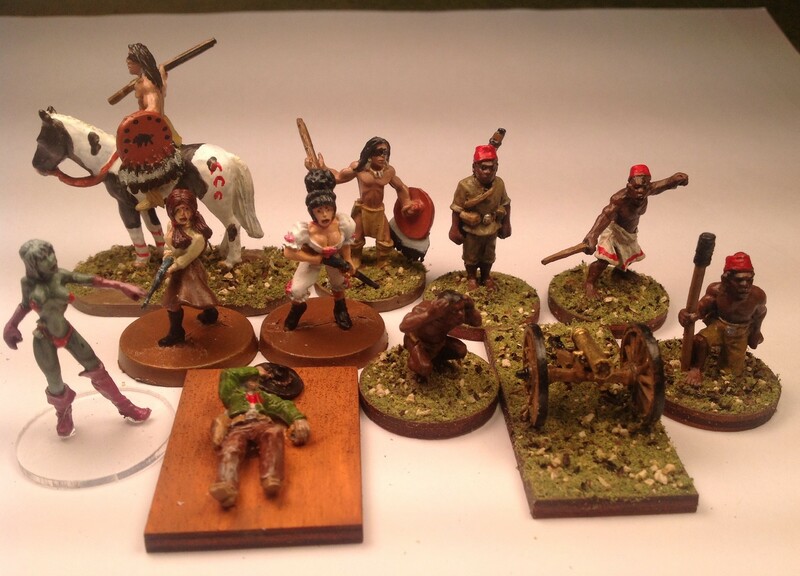 Following last week’s SCW Nationalist HQ, this week saw a more eclectic batch of miniatures coming off of the paint table. Returning to the Old West theme, I finished two figures from Shadowforge – the Rancher’s Daughter and the Madam. Shadowforge is now sold by Eureka Miniatures. I bought these a long time ago from Shadowforge when you could buy them individually. 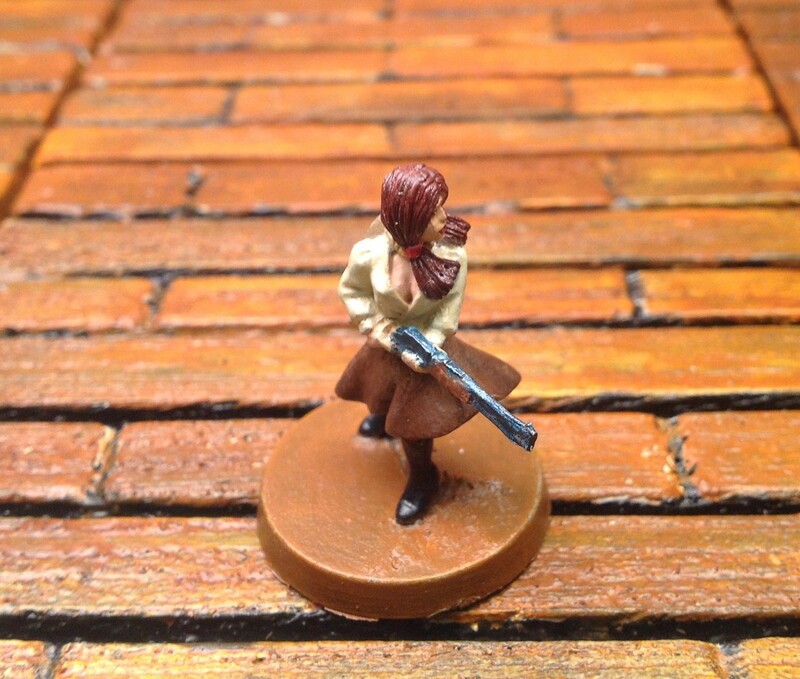 Another wounded gunfighter from Knuckleduster Miniatures is finished. This is one of the old sculpts before Knuckleduster began doing 3D rendering for its masters. 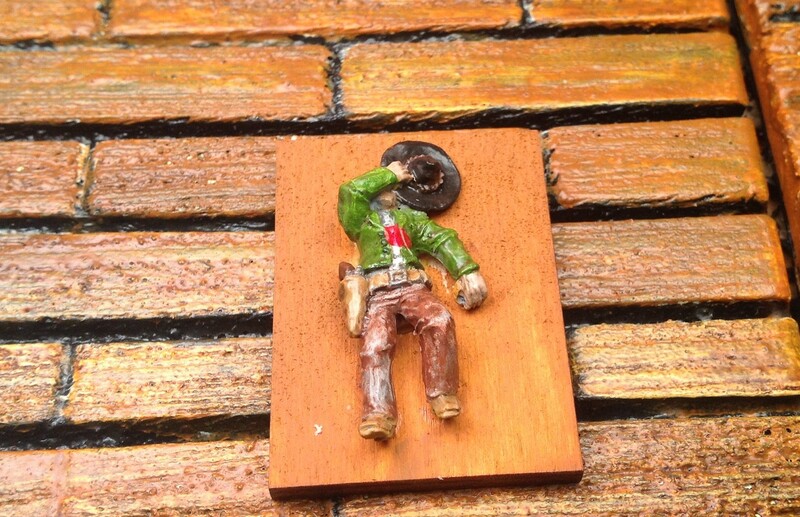 When the smoke cleared, Tom Lempkin lay dead and Zeb wasn’t long for this world. 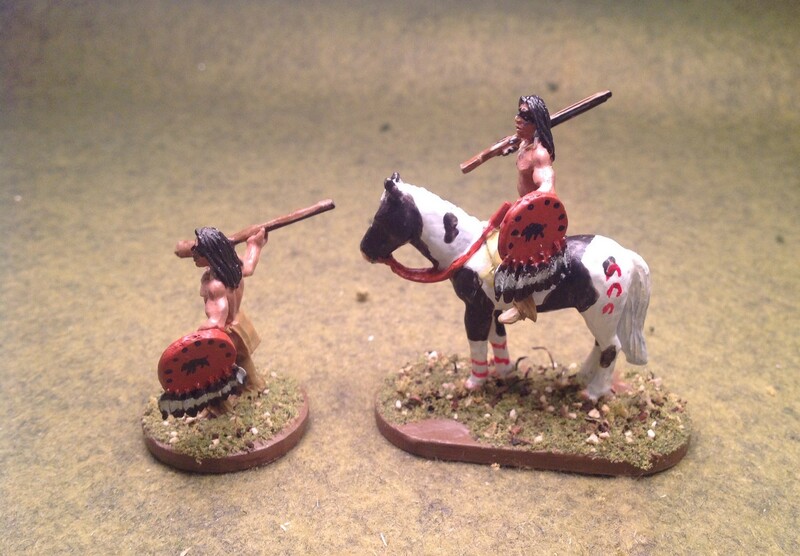 The Comanche is from Conquest Miniatures, which is now sold by Warlord Games. 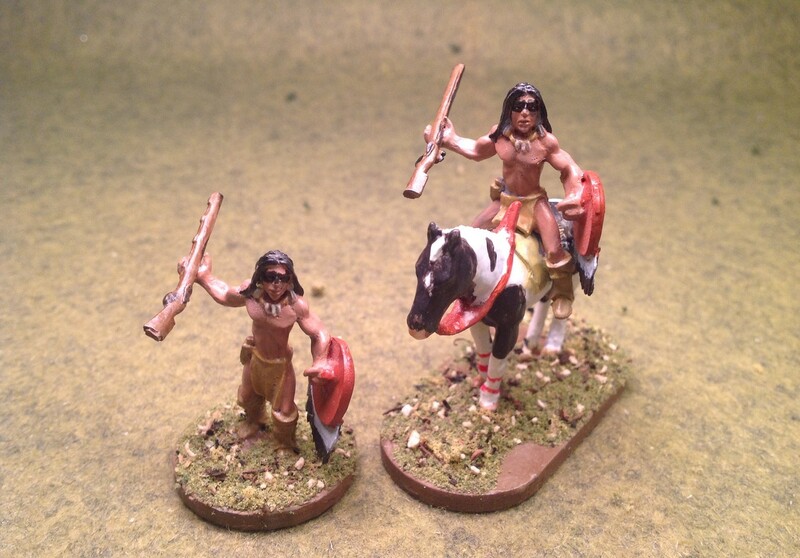 I bought the full set of Comanche from Conquest long ago, before the line was acquired by Warlord. The hardest thing for me to do is to paint war paint. 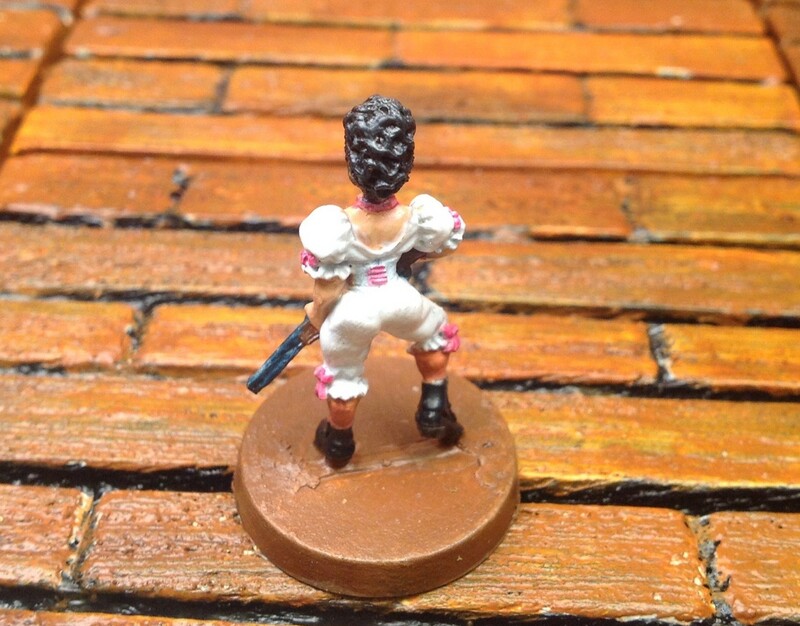 I somehow feel like I’m defacing a miniature that I’ve spent a lot of time painting. Silly – I know, so I usually paint a minimal amount of war paint especially on the horses. 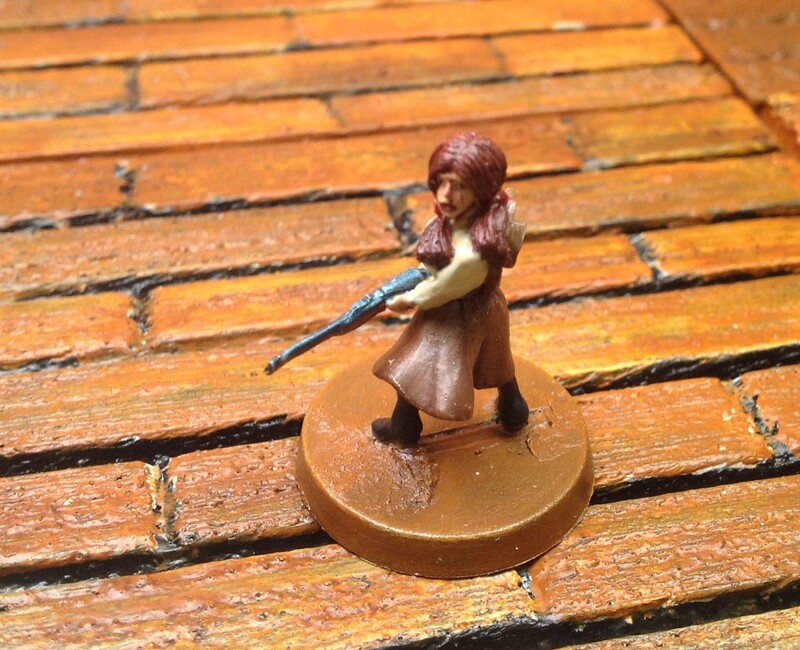 It has been ages since I’ve painted anything for my Colonials collection. 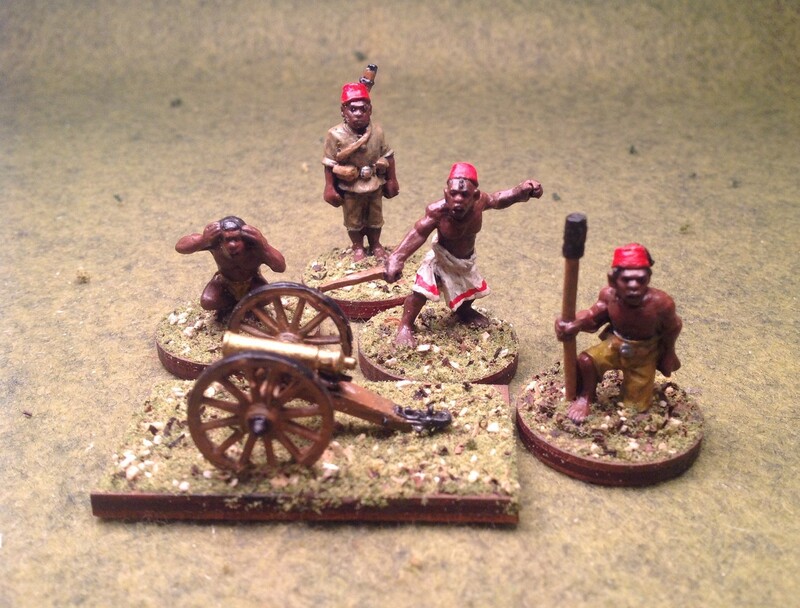 This week I finished the Askari Mountain Gun from Wargame Foundry’s Darkest Africa Collection. 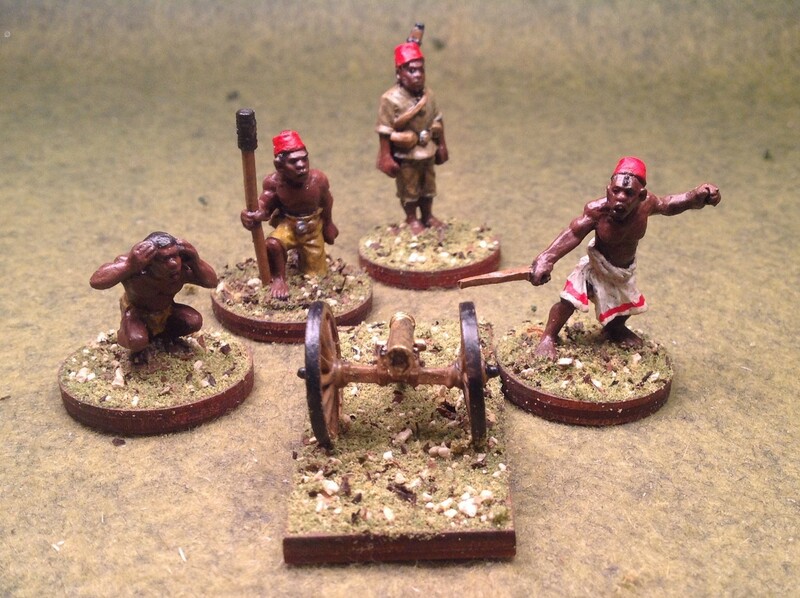 I really do need to play a Colonial – pulp style game. A while back I bought some already painted Sci-Fi from Ed of Two Hour Wargames. I’m in the process of touching up some of the paint jobs and rebasing all of them on clear bases from Litko. 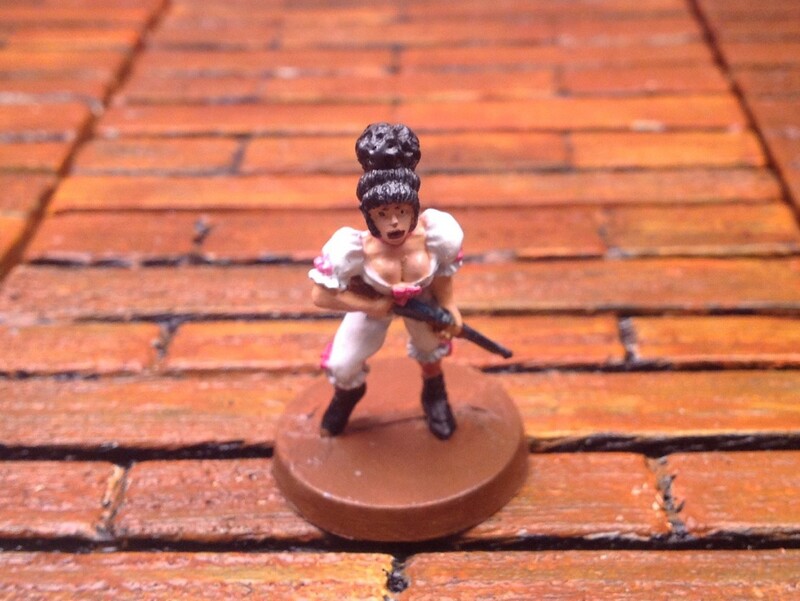 Here’s a Zombie Stripper from Reaper Miniatures. 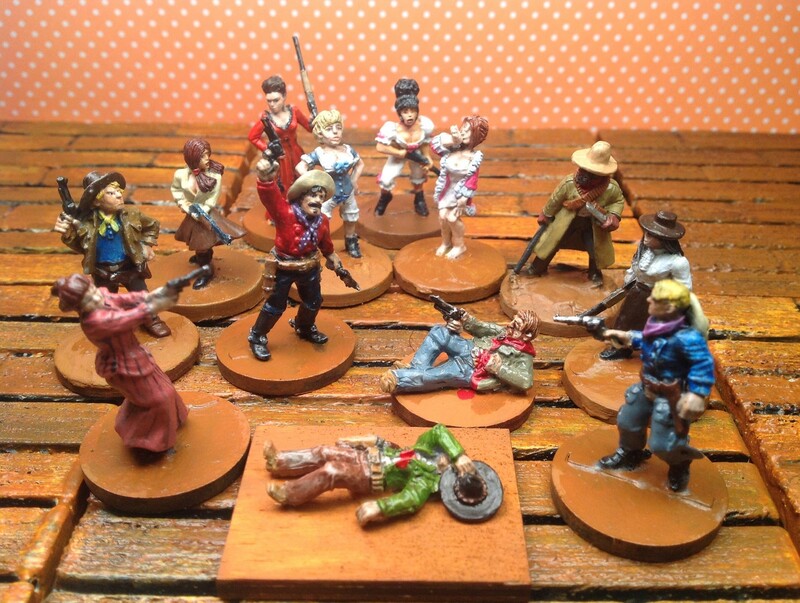 I’ve painted 34 figures toward my goal of 520 – not counting figures I’ve rebased or terrain I’ve built or painted. Once again, the photos were all taking on my dining room table with my iPad. No floozies were harmed in the making of this post. Any and all comments are welcome and encouraged!